Remodeling your kitchen as a way of rebranding your, commercial foodservice operation, restaurant, commercial kitchen, hotel facility, hospital, assisted living home or building a bigger kitchen for your growing business is a goal we would like to be a part of. Let us come assist in maintaining your business operations and level of service in the kitchen in a way no other company does. The size of the kitchen you run does not matter, we take care of the whole plan, from the design to permits needed to set up the temporary kitchen. 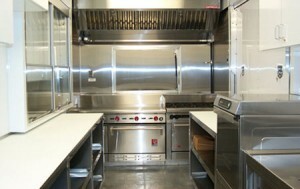 Why select Temporary Kitchen 123 as your mobile kitchen service provider? We prepare the planning of the mobile kitchen with respect to every detail, from the electrical plans, site plans, tent plans that host all the restaurant amenities for the guests and even the schedule program on how the project will be undertaken, on a step by step basis. You do not have to worry about the standard operations of the mobile kitchen, we provide the necessary documents that detail how our mobile kitchen will handle food, equipment, and your staff, in order to offer a seamless operation that your guests will enjoy. We are a total one stop service company where we offer plans to cater for all your refrigeration options, modular buildings, air conditioning though state of the art HVAC units and all your dining needs. When you are in need of the best modular kitchen rental service company, do not hesitate to call our experienced staff at 1-800-205-6106 today, and you will run your kitchen in a whole new way, as you renovate your establishment.